I feel I have to start out today’s post with an apology to my faithful readers and gratitude list sharers. As I wrote in an earlier post, I found myself caught up in a bout of blogging dis-inspiration (and laziness!) during the month of June, and I’m very sorry that last week’s linkup post was part of my brief writing slump. But I’m back now, and hope you’re ready for another virtual exchange of presents in the form of our gratitude lists! People who, regardless of their beliefs and perspectives, consistently live and express themselves and deal with others in a spirit of love. Summer with its abundance of fresh, delicious fruit. Safety for our household during an enormous (and rather frightening!) thunder, lightning, and torrential rain storm. Safety (and a great experience!) for my sister and friend on their long, incredible train journey and vacation across the country last month. Being able to borrow DVD movies and television series from our public library. Canada – my beautiful country. Having a relaxing five-day break over the weekend and Canada Day holiday. Great health for the two of us. My blog – a platform where I can express myself and connect with others. Note: This linkup will be open for the entire month, so feel free to add as many gratitude posts as you choose to write in July! 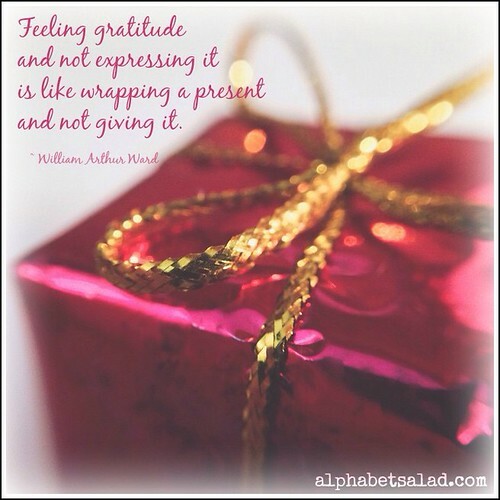 elly stornebrink recently posted… Gratitude List #12: A Feast of Food, Friends, and FUN 2! 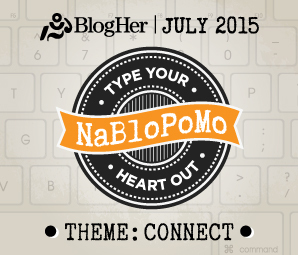 I am visiting from the Ultimate Blog Challenge and am also participating in the NaBloPoMo challenge. 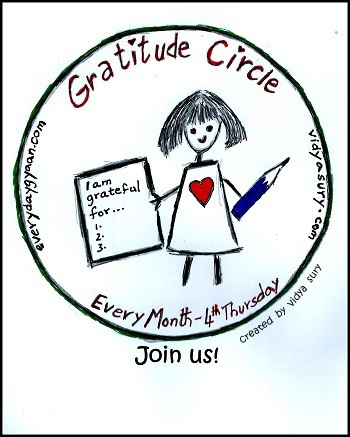 I have been reading several different books lately that advocate for creating gratitude journals or lists. Today I am grateful for my husband, my family, the ability to homeschool my children. I look forward to reading more of your posts. I am grateful for a husband who truly cares about me. Down with a stomach bug just as I need to be in high gear, he was there for (whiney) me. Oh, I’m sorry you were sick! Hope you’re feeling better now. 1. I still have a roof over my head after 6 months of unemployment. 2. That I am a child of God through the blood of Jesus Christ. 3. That I didn’t harm myself in any way when using a rotary saw today on some trees in my yard. Haven’t used it for about 15 years. 4. For meds that don’t cost me an arm and a leg because I’m rated at my hospital … what a huge difference on my finances! Hmm, I am grateful for all the times people have supported me and made me feel better when I’ve been at my cribbiest, crabbiest worst. Sreesha recently posted… Going From Technologically Superior To… A Parent! I’m grateful for Hyde and Beast for releasing an amazing EP and for Technicolour for announcing a new Florian Kupfer EP at the end of the month! Alas, I can’t find the link to the blogger who provided Romancy!! I was discombobulated all weekend, and neglected to write her URL and now I can’t find her!! Learned my lesson – not only should I record who originates a tangle, but I should mention them in my post. I feel terrible about neglecting to do that. Will make up by posting a tangle shout-out post soon!! When I have time later this week, I will draw the step-outs for Romancy and email them to you. They are simple ones. Great list and lovely things to be grateful about. Yay! for gratitude lists. I know I haven’t done one formally lately, but gratitude really makes such a huge difference in my life. I love living in such a way that I can and do share the love as much as possible, though my words and actions, while also demonstrating a life of gratitude. Nice to read your list Laurel; I loved the pic and the quote. Appreciate you for sending the reminder. 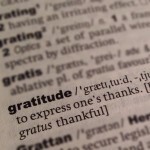 I have made my list and linked it to the gratitude list July 2015.